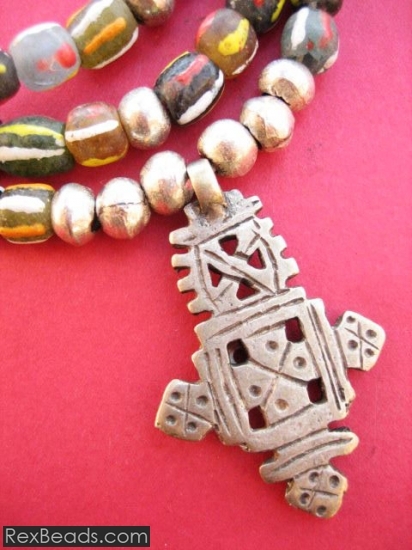 Coptic crosses have a rich history as being popularly worn by Ethiopian Christian converts for over 1,600 years. 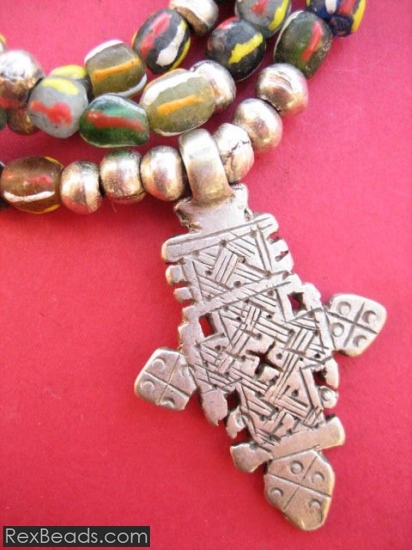 Their designs vary widely and are indicative of the town or province from which they originate. 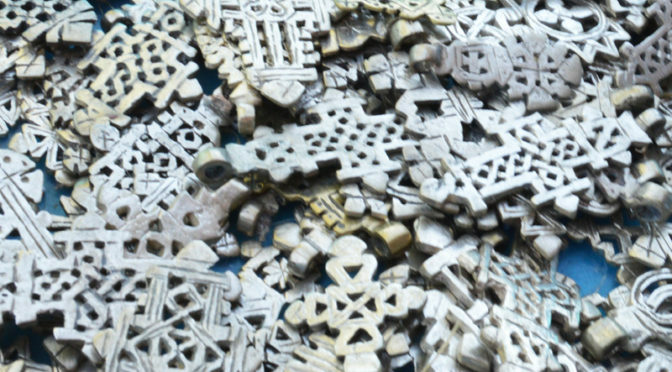 Most crosses were crafted using the lost wax technique and tend to exhibit elaborate designs showing Latin, Greek, Egyptian and Celtic influences. 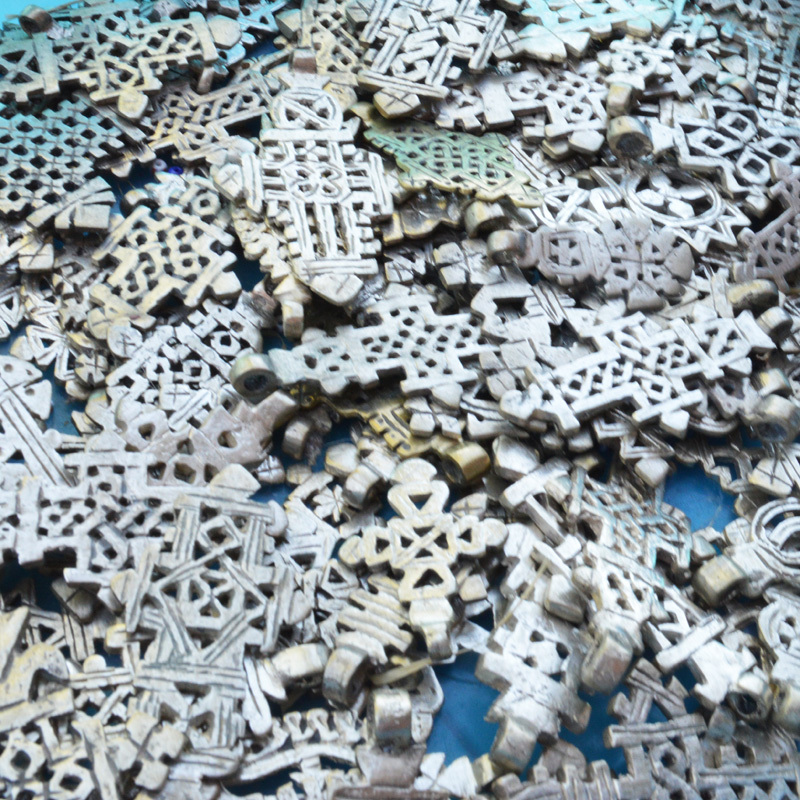 Generally, the older the Coptic cross, the better its quality of silver. 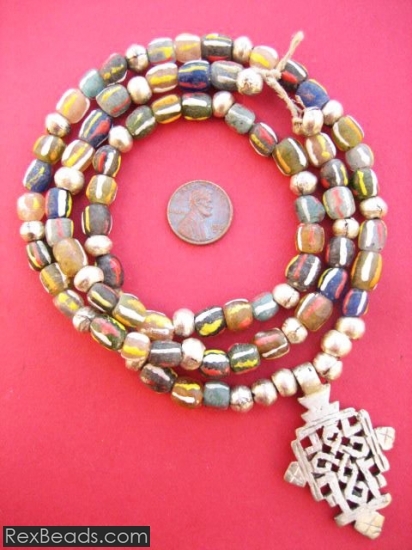 Coptic crosses serve well as exquisite centerpieces for beautiful beaded necklaces. 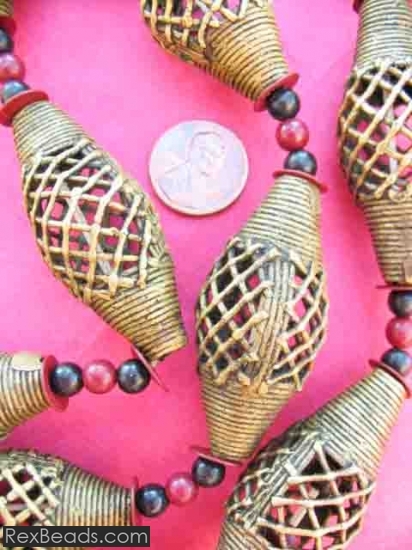 For instance, you may add a Coptic cross to a strand of beautiful Ghana glass beads to produce a charming necklace to dazzle onlookers with. 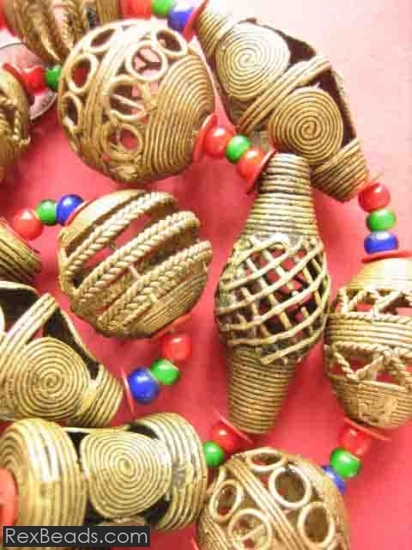 Ivory Coast beads are made out of metals such as brass and may be strung bead to bead to produce beautiful jewelry pieces. 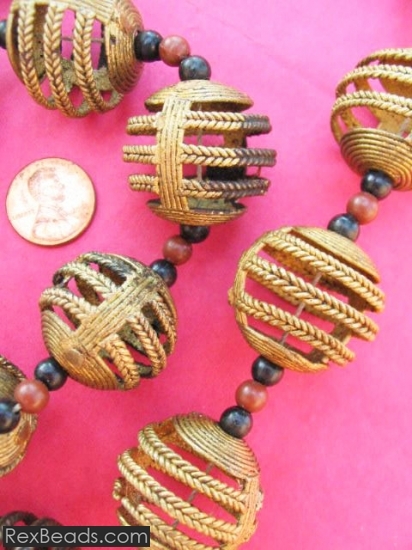 Ivory Coast beads are hand-made and crafted by African metal smiths who are skilled in forging and fabricating beads and casting metal using the lost wax technique. 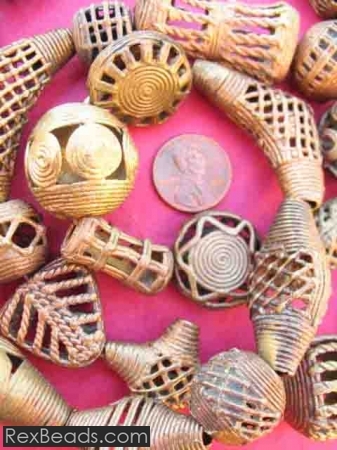 This lost wax technique mainly used whit brass to create the beads through sculpting or molding a shape in wax which would then be covered with successive layers of clay in order to make a mold into which the melted brass would be poured. 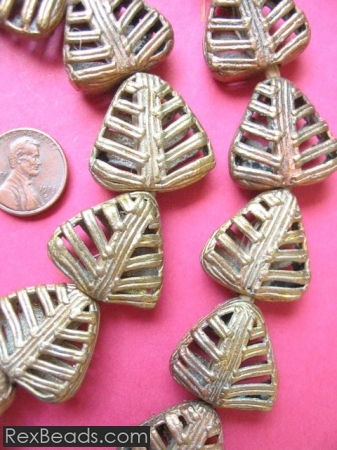 The metal would melt the wax which would then pour out and the metal allowed to set. 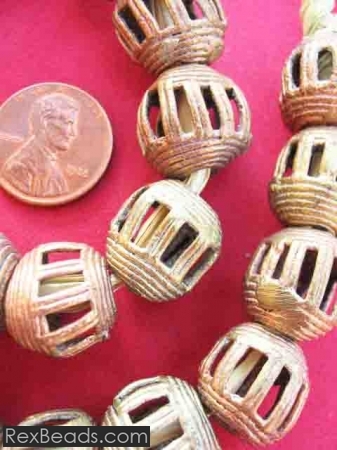 Thereafter, the mold is broken, the bead removed, filed smooth, polished and cleaned to produce a beautiful Ivory Coast bead.